In Her Dreams (2015) is the third in a trio of multi-sensory installations dissecting human interaction, relationships and expectations, that was presented at Coup d’Etat in San Francisco and in Miami concurrent with Art Basel Miami Beach. 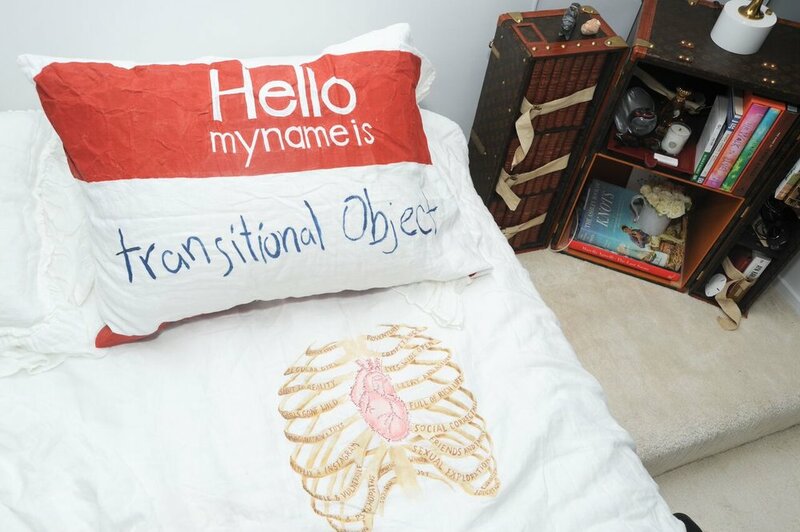 In Her Dreams revolves around a young woman’s relationship with her bed. The bed serves as a partner – a reservoir for her hopes, dreams and disappointments. This installation is a universal work of emotional autobiography and thus serves utterly and irrevocably as a deeply personalized, participatory experience. Guests are invited to touch and investigate the many layers of the bed and to take photos in and amongst the sheets. For the truly adventurous, Kellems Dominik asks participants to strip the bed down to the mattress cover, to where all implied promises go to die – in a wet spot.